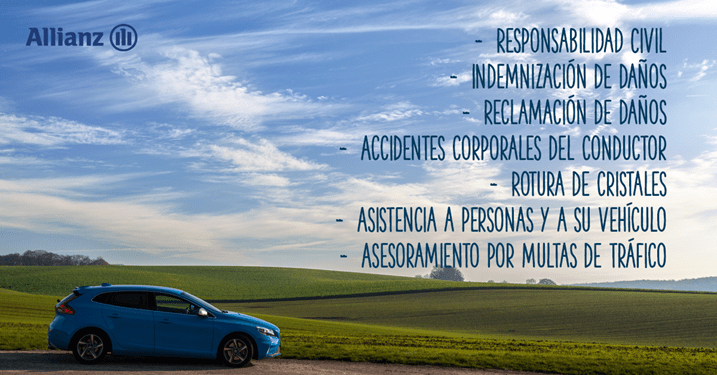 ✓ Repair or replacement of the material damages suffered by your vehicle and its accessories or the replacement of the same when they are destroyed as a result of the collision against another vehicle. ✓ Medical care’s abroad, for you and the members of your family in your home even if you do not travel in the insured car. ✓ Assistance in traveling either nationally or internationally, 24 hours a day and every day of the year through a telephone exchange where the insured can request such benefit. ✓ Compensation to a third person for damages caused when you are responsible for them as a result of driving bicycles (including electric) and electric scooters (compensation limited to 1 million euros).